NRG’s EVgo and the University of California, San Diego are pushing the envelope on use of microgrids and electric vehicles. The pair recently announced an agreement which has EVgo leading two projects at the university, known for its flagship microgrid. In the first project, EVgo is assessing how owners of electric vehicle DC charging sites can leverage solar, battery storage, and control systems to ease utility demand charges and provide services to the grid. In the second project, EVgo will operate a fleet of bidirectional electric vehicles from Nissan and Honda (including a modified version of the Honda Accord Plug-in Hybrid.) The goal is to test applicability of vehicle-to-grid technology for California. This vehicle-to-grid initiative builds off of EVgo’s ongoing collaboration with the University of Delaware. In 2013, EVgo and the University of Delaware, working with PJM Interconnection, brought online the world’s first project where electric vehicles served as an official resource on a power grid. 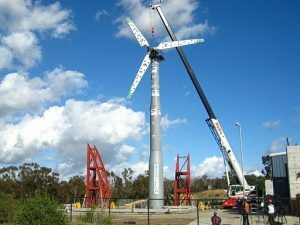 The energy resources from both projects will feed into UC San Diego’s microgrid, considered one of the most advanced microgrids in the world. Serving more than 45,000 people, the microgrid generates more than 85 percent of the electricity used on campus annually and saves the university more than $8 million a year in power costs. As part of the agreement, EVgo is funding UC San Diego faculty and staff to support the physical installations as well as EVgo’s research, development and demonstration objectives for the microgrids and electric vehicles project. 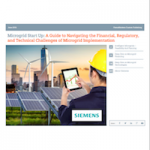 The microgrid industry is in search of ways to monetize assets. Selling into wholesale markets offers promise. So it’s interesting to note a deal struck this week between California-based AutoGrid Systems and Dutch energy company Eneco Group. Eneco, which is owned by 53 Dutch municipalities and serves two million customers, will use AutoGrid’s analytics technology to build what it’s describing as the industry’s first Software Defined Power Plant — a kind of virtual power plant. With the software, Eneco can forecast, optimize and control a network of distributed energy resources as a single resource. Eneco will respond to signals from the grid operator, Dutch Transmission System Operator (TSO) and trade in wholesale markets 24 hours a day, seven days a week, 365 days a year. As a result, Eneco says it can integrate more distributed energy into its generation portfolio and reduce imbalance costs associated with renewable intermittency. Changes at industry advocacy organization say a lot about an industry. Distributed energy is clearly coming into its own, as evidenced by two trade association announcements. A half a dozen mainland and Hawaii companies formed what they are describing as the nation’s first trade group representing behind-the-meter distributed energy. Called the Distributed Energy Resources Council, the group includes Stem, an energy storage and software provider that has been making its name with innovative aggregations and sales on the California grid. Other founding members are E-Gear, a battery energy storage system provider; Enphase, the largest microinverter manufacturer in the world; Hawaii Energy Connection, a sustainable energy solution provider; Hygrid, an energy consulting firm; and Tabuchi, one of the world’s largest solar inverter manufacturers. In addition, two long time and well-known trade groups have merged into one: the Solar Electric Power Association (SEPA) and Association for Demand Response and Smart Grid (ADS). The pair will continue under SEPA’s name. For years SEPA was known as an advocate for utility scale solar. But it has broadened its mission to include microgrids, demand response, energy storage, electric vehicles and other distributed energy resources. Read more about distributed energy, microgrids and electric vehicles by subscribing to the Microgrid Newsletter. It’s free.